What is a criminal defense lawyer and what does he or she do? When someone is accused of criminal conduct, he or she needs a Michigan criminal defense attorney who is just as driven by the desire to defend people as the prosecutor is driven by the need to prosecute. Civil lawyers are attorneys who devote a portion of their practice to cases other than criminal defense, are used to practicing law by proving a case. They handle cases by presenting proof of some injury caused by the other side. The best criminal defense lawyers think in terms of attacking a case, knowing that they must focus on what the other side is trying to prove so that this ‘proof’ can be picked apart, piece-by-piece, and ultimately destroyed. 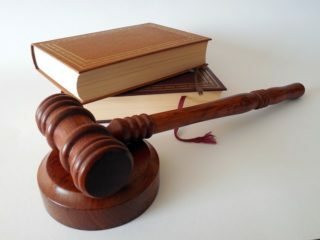 Criminal defense attorneys understand that the prosecution must prove a charge against their client “beyond a reasonable doubt.” The standard of proof in a criminal case must be honored and used in the way that it was intended as opposed to the way prosecutors seek to explain it to juries in a watered down and flimsy way. Criminal defense lawyers attack cases with tools never used by civil lawyers and rarely understood by even many experienced criminal defense attorneys. Many of the elite criminal defense attorneys in Michigan are found in Oakland County, Macomb County, Wayne County, Washtenaw County and Livingston County and most of them have not mastered the art of criminal defense trial work. Motions to suppress interviews and statements, to suppress evidence seized from an office, home or computer, to exclude business records, or evidentiary hearings to attack forensic evidence are examples of tools used by criminal defense lawyers to seek dismissals, acquittals and reductions in charges on behalf of clients. The Fourth, Fifth, Sixth and Eighth Amendments to the United States Constitution contain provisions that the most aggressive and experienced criminal defense lawyers know how to use to protect their client’s rights. The complex and ever changing case law relating to crimes, criminal procedure and criminal evidence is another criminal defense tool that is difficult to follow by anyone other than a dedicated trial lawyer that practices exclusively criminal defense. Unless a criminal trial lawyer constantly deals with criminal law issues, his or her imagination may not be primed appreciate the subtle nuances of the facts that will permit the fashioning of a winning defense. The jury trial is what criminal defense lawyers live for. The vast majority of cases do not go to trial but a true criminal defense lawyer lives for the showdown with the prosecution wherein he or she can defend a client from over zealous, ruthless governmental prosecutors and police officers. Such lawyers are not afraid to go to trial, and recommend that option to clients when it is appropriate and when other lawyers are simply afraid to conduct a trial. When a known criminal defense trial lawyer sets a case for trial, prosecutors and judges know they mean business. When a trial lawyer is a known, credible threat, prosecutors and judges tend to make offers to resolve their cases in ways that other attorneys would never be able to achieve. A conservative approach in a criminal case will almost always mean pleading guilty and accepting whatever sentence is given by the court. A thoughtful, aggressive and passionate approach to plea negotiations often results in favorable plea bargains and sentences that are lenient or less severe. Great criminal defense attorneys, however, approach plea negotiations with what I call intelligent aggression. The defense attorney must come out strong in persuading the prosecution that the weaknesses in its case justify a compromise on punishment or charges. Sometimes a case for mitigation can be made in a compelling well just based on the unique characteristics of the defendant or the peculiar circumstances of a case. The prosecutor must also be made to understand that the defense attorney knows how to try a case, and in fact loves jury trials. If the prosecutor wants to avoid the time and expense of a jury trial, and the risk of the defendant’s acquittal, an attractive plea agreement with a substantial savings in or elimination of jail time will have to be offered. Extremely Good Criminal Defense Lawyers are Available to Help You! When the government has targeted you, you need an experienced criminal defense lawyer who can protect you. The experienced criminal defense lawyer has the skill to learn the facts and applicable laws and regulations of your case quickly, and apply these things in the special arena of prosecutors, search warrants, proof beyond a reasonable doubt, and the Bill of Rights. There are many criminal defense lawyers in Oakland County, Wayne County, Macomb County, Livingston County and Washtenaw County. There are very few criminal defense law firms that are designed, built, organized and operate for the sole purpose of defending those charged or accused of committing criminal offenses. Many law firms have combinations of criminal defense lawyers and civil attorneys but they designed for the sole purpose of maximizing their income and those firms are less concerned about taking care of their criminal defense clients. LEWIS & DICKSTEIN, P.L.L.C. 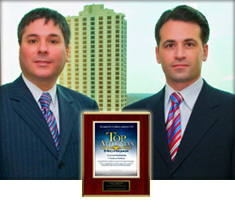 is a quintessential criminal defense law firm. We do nothing besides criminal defense and criminal defense related cases. The two managing partners at LEWIS & DICKSTEIN, P.L.L.C., Randy M. Lewis and Loren M. Dickstein, have been practicing criminal defense, collectively, for almost 40 years. 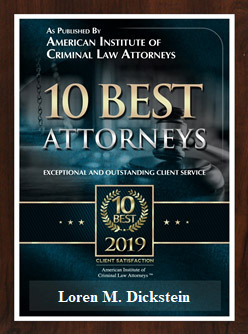 If you or a loved one is accused of committing a criminal offense or charged with a crime, do not hesitate to call LEWIS & DICKSTEIN, P.L.L.C. for a free consultation regarding your case. 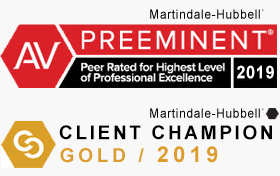 You can call us at (248) 263-6800 and we will take the time to patiently listen to your story, determine if we are able to help you, and develop a plan to protect and defend you. If it is more convenient, fill out a Request for Assistance Form on our website and we will contact you.